Professional Zebra Printer Repair Service from Printer Connection Service & Repair. We’re in Ft Worth, Texas and we serve Tarrant County, Denton County, and North Texas. Our qualified and skilled technicians service, maintain and repair Zebra printers. Printer Connection technicians are dedicated to providing you with the best service and support for your Zebra printers. The Printer Connection service professionals have 30 years experience repairing and servicing barcode & label printers. You’re able to have peace of mind you’re receiving the highest level of service and that your Zebra printer will operate at its peak performance. Experienced Zebra certified technicians perform all repairs. You and your end users are encouraged to observe repairs and ask questions. No contract – On-site and Depot Zebra printer repair service, label printer repair for the Dallas – Ft. Worth and all of North Texas area. You get fast next business day, on-site service with no contract or expedite charges. If you want to take advantage of our Zebra depot repair services for a flat rate, we provide a 3-5 day turn around for most desktop printers. With “no contract” maintenance you only pay for services you actually need. Contact us for Zebra service in North Texas. We look forward to working with you. We’ll keep your Zebra printers up-and-running at maximum performance levels. Friendly Service. We’ll answer your questions as we troubleshoot and repair your printers. If you want to understand your Zebra printer better, then you’re welcome to look over our shoulder and ask questions while we work. We’re happy to identify parts and explain how things work. This helps your end users fix minor issues while maintaining maximize printer up time. Zebra printers are great label printers and we’re proud to support this brand. 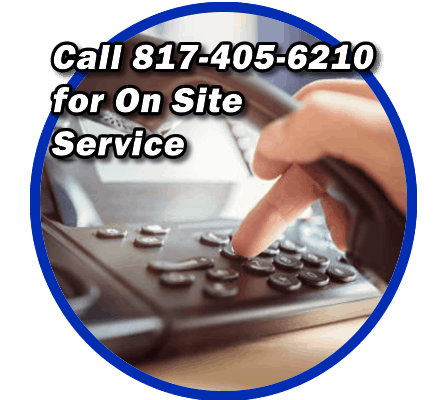 We respond quickly to onsite repair requests. Annual service agreements are available upon request. All parts and labor included along with preventive maintenance. Print heads are discounted to both contract and non-contract customers. We fix all Zebra desktop models regardless if they are new or discontinued models. Some legacy models may be serviced on a time and material basis. If you’re interested in an annual printer service and maintenance agreement, please call us at (817) 405-6210 for a quote. We have an excellent customer satisfaction record. Our technicians are factory trained in printer repair & maintenance. We have 25 years experience in the printer repair field doing printer repair DFW & North Texas. Printer Connection personnel specialize in repairing and maintaining printers. Our technicians are expert troubleshooters and are experienced in repairing IBM, Zebra, Printronix, Lexmark, SATO printer repair, MicroPlex, Tally, and Genicom printers. Our goal is to partner with you and make your printers perform in a way that adds profitability to your company. The printer platforms we service have a good reputation in the industry. Printer Connection provides Onsite or Depot Zebra printer repair service repair in the Dallas – Ft Worth & North Texas area. We take pride in our work. Printer Connection guarantees all the repair work we perform! Zebra Printer Service, Label Printer Repair in DFW & North Texas You will have peace of mind in knowing that a highly trained printer repair specialist, using quality manufactured parts is servicing your printer at an affordable price. Let us prove to you how much we appreciate your business. Call today and let us repair or service your printer! No Contract – Maintenance Service. If you’re interested in having the peace of mind that your valuable printer assets are maintained on a regular basis while getting rid of costly repairs and reducing downtime, then you’ll find this a very affordable solution. We’ll customize a plan just for you based on your needs and manufacturer recommended guidelines. Consider our popular flat-rate quarterly preventive maintenance plan. It includes all the printers we cover. With preventive maintenance, you’re able to eliminate many problems through regular cleaning, inspecting, and testing. You schedule automatic quarterly visits. In this way, we make frequent on-site visits and develop a history with you and with your printers. Take a proactive approach and maintain dependable, quality up time. There is no contract involved and you choose the level of service you need! For more information, call us and talk about your printer needs. We’ll create an affordable plan just for you.